Need to get the word out about your new App Release? This Divi Layout is perfect for the job. Beautiful color scheme, awesome fonts, and free images from UnSplash. JSON and PSD files included so you can really make this Divi Child Theme yours. Divi Ready Themes are on the cutting edge of design – giving you something different in a sea of sameness! 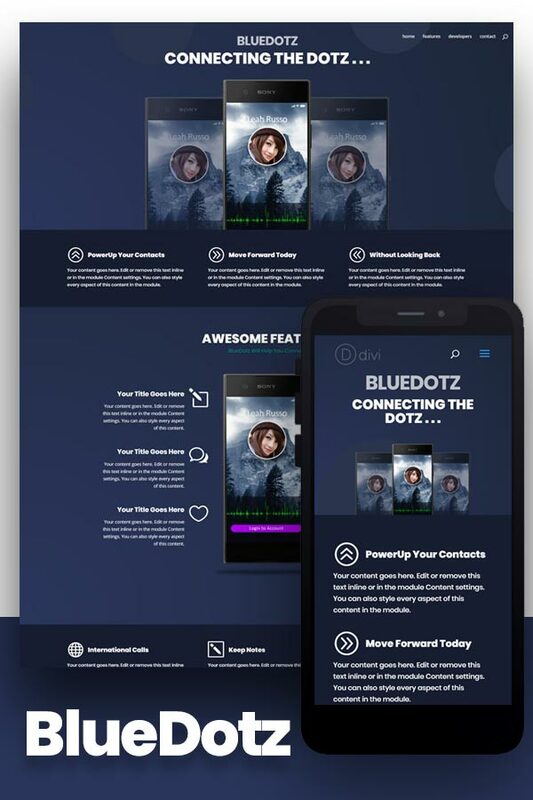 Requirements: This Divi Theme Layout requires the Divi Framework by Elegant Themes, which must be purchased separately.